We provide English to Portuguese translation by certified Portuguese translators with years of experience. Our translation is done with utmost professionalism and accuracy that not translates the source but conveys the true meaning of the content. Our Portuguese translators have native-language proficiency and well-versed in subject matters relating to specific industries such as Marketing, I.T, Legal, Tourism & Travel and more. Our translators are based both in Malaysia and in Singapore. VEQTA Translations is a language service provider in Malaysia that can provide localization and translation into most commercial languages. We have subject matter experts available for perfect Portuguese translation for most major industries. We adhere to localization best practices such as styleguides, glossaries, CAT Tools and full quality assurance processes. Our clients from Selangor, Johor, Sabah, Penang and Singapore rely on us for a high quality and accurate Portuguese translation of all types of documents and content. 1. Portuguese Main Translation Phase Our native Portuguese translators will be assigned on the project according to their experience with similar content. We only use experienced native translators who have been thoroughly vetted by language testing proficiency tests. 2. Portuguese Editing Once the translation has passed certain quality criteria, it’s passed to the Editor. The Portuguese Editor is a senior translator who will go through and polish the text, e.g correcting syntax, grammar and flow. 3. Portuguese Proof checkingAs a final quality assurance step, we will go through the Portuguese documents again to give it an overall quality check, check on typos, any missing content and correct any inconsistencies in the translation. We can provide Portuguese translation integrated into your marketing material, online platform, website, portal or system. Portuguese language translation requires Subject Matter Expertise for a perfect result. We provide Portuguese terminology experts who has worked in a related field of the source material in Portuguese. Voice over in Portuguese language and an array accents and other languages for cold or hot recording for broadcasting, e-learning modules or voice or video translation for corporate use. Portuguese is an important language to consider for translation of your marketing material. A high quality translation will give you the maximum impact of your marketing material! A dedicated team of Portuguese translators who combines Experience, Specialized Subject Matter Expertise with Translation Practices to deliver quality second to none. We provide Portuguese Translation Services in Malaysia second to none! Our native Portuguese Translators have been carefully vetted by rigorous language tests in Portuguese and based on experience and formal academic qualifications necessary to provide an accurate translation from portugueseor creating a Portuguese to English translationPortuguese is a language boasting 215 million speakers. It is spoken throughout the world with communities of Portuguese speakers existing in Portugal, to India, and even Japan. It has the status of official language in the following countries: Portugal, Angola, Brazil, Cape Verde, Guinea-Bissau, Mozambique, as well as Sao Tome and Principe. Perhaps surprising to most people, Portuguese is considered to be the most spoken language in South America, depending on how this is measured by scholars, as Brazil has such a large population. Most have the conception that Spanish may be the most spoken language. Overall, Portuguese may hold a slight majority. 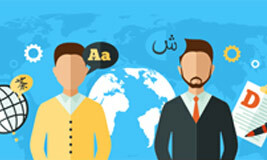 Globally, it is the fifth most spoken language in the world in terms of native speakers. Like many Romance languages where colonialism was a factor, Portuguese is considered a pluricentric language, meaning it has more than one standard variety. The main varieties are Portugal Portuguese and Brazilian Portuguese. All speakers of Portuguese can be called Lusophones. Portuguese, like many other Romance languages, has roots in Vulgar Latin, the colloquial varieties of Latin at the time of the Roman Empire. Portuguese is unique as it contains a heavy influence of Celtic languages, especially in terms of pronunciation and vocabulary, with many loan words stemming from Gaulish, a Celtic language spoken in some regions in France. Another source of vocabulary is some of the Germanic languages from the time the Visigoth and Suebi tribes conquered areas that are now present day Portugal. In addition, Arabic words from the time of Moorish Iberia have contributed many common words that are used today. Lastly, loanwords coming from Japanese and Chinese have also entered the language from the age of exploration, when Portuguese explorers traversed the globe. A unique developmental pattern of Portuguese language has to do with the evolution of Portugal Portuguese as opposed to Brazilian Portuguese. The number and type of loan words as well as some grammatical and pronunciation aspects may differ with Brazilian Portuguese having more influences from Native American languages that existed in Brazil, as well as the different immigration patterns of each of the countries. Most notably, there is a large ethnic Japanese community in Brazil and some Japanese loan words have entered Brazilian Portuguese. Portuguese grammar and writing is also unique compared to other Romance languages. Linguists consider Portuguese to have preserved the most verbal inflections from Latin compared to any of the other languages. The writing system itself employs the Latin script of 26 letters. However, it has five diacritics, or ‘accent marks,’ to denote various aspects of pronunciation, that other Romance languages may not denote. For example, stress, vowel height (the ‘note of the vowel’), contractions of multiple vowels, nasalization of vowels, and many other sound changes are all represented. To people not familiar with Portuguese, it may seem that there can be many accent marks in just one word. Like other Romance languages, Portuguese is written from left to right and from the top of the page to the bottom of the page. Also, punctuation is largely similar to the systems found in Romance languages as well, even though there may be some differences in both punctuation and spelling between Brazilian and European Portuguese. Interestingly, an international treaty called the Portuguese Language Orthographic Agreement of 1990, which has most recently been updated in 2016, was created so that there was a unified spelling system for all countries who have Portuguese as an official language, even though in the case where two forms of spelling existed in Brazil and Portugal, both forms still remain. Historically, the earliest documentation of texts in Portuguese come from the 9th century and from the region of the County of Portugal. At this time, Galician-Portuguese was considered one language and was spoken in this region. Galician-Portuguese dialects were the colloquial varieties that broke off from Vulgar Latin in this particular region. However, as time went on, there was a separation of Galician-Portuguese into two distinct languages, especially with the founding of the Portugal Kingdom in 1143 and the split of the County of Portugal from Galicia. Scholars consider this the start of Old Portuguese as well as the beginning of the development of Portuguese as a distinct language. The Renaissance in the 16th century can be considered the start of Modern Portuguese. In the beginning of this time period, the interest in humanistic philosophy and academics led to a heavy borrowing of loan words from both Latin and Ancient Greek into Portuguese. More importantly, the printing press helped with the standardization of Portuguese as it allowed publications to reach the masses. With the masses mostly understanding Portuguese, the language of publication was decided to be the Portuguese spoken at this time. During the Age of Discovery, modern Portuguese continued to develop. During this time, Portugal colonial ambitions, religious missionaries, traders, and explorers brought the Portuguese language, culture, and people, into contact with many influences around the world. Such contact, in turn, affected the language development of Portuguese with loanwords coming from Japanese, Malay, Indonesian, and more. Currently, Portuguese is a major world language. It is an official language of the European Union, Mercosul (a South American trade bloc), the African Union, and many other international organizations. It is the official language in nine countries, and a recognized language in 14 others. Portuguese also has cultural significance ranging from music (e.g. Brazilian Bossa Nova) to martial arts (e.g., Capoeira, also having roots in Brazil). In summary, Portuguese language and Portuguese translation will continue to play a role in international affairs and culture for years to come.